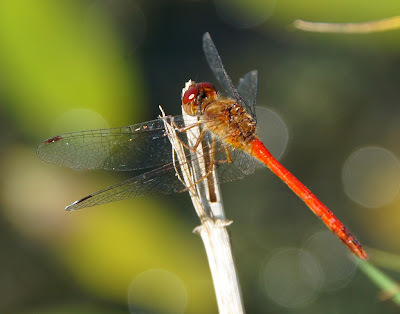 I had never seen nor photographed a male Meadowhawk dragonfly. I had, however, photographed a female Variegated Meadowhawk. 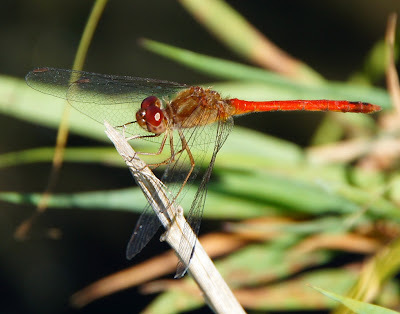 I saw a red dragonfly, and I immediately knew what it was. We played Tease for quite a while. To join this fun meme, click on the badge! Great phots, dragonflies are so colorful! Great shots of the Meadowhawk. The second shot is my favorite. Have a great weekend, Misty! I love photographing dragonflies, BUT I don't know the names. Thanks for filling me in on these male Meadowhawks! Great shots! Amazing photos. I admire your patience to hunt down these small creatures with a camera. You got wonderful shots Misty! I chase dragons too but I've never seen one of these. You succeeded! Just beautiful captured of its color and amazing details on the wings. Wow - what stunning shots. I've never seen a red one before. Wonderful shots! They do like to fly away just at the wrong time, don't they! And he allowed you to have some perfect shots. He sure is a looker! Nice shot, I like to photograph dragonfly too, but yours photo are so beautiful.